Have you ever wondered what happens to those that reject the Gospel? The Bible refers to the unconverted as “pagans” “gentiles” or the “nations”. These are all the same word in Greek “ethnos”. The “ethnos”, namely the ‘Nations’ ‘pagans’ and ‘gentiles’ generally refer to people who are not God’s people. 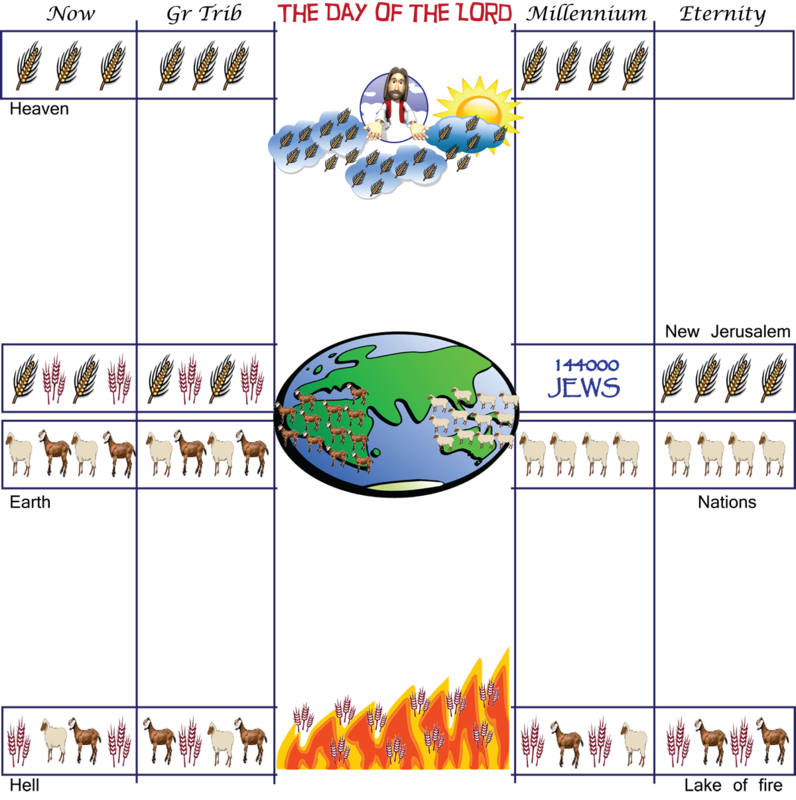 The Nations are here now, they will be gathered before Christ at his Second Coming, they will be on Earth during the Millennium and they will surround the New Jerusalem in Eternity. The nations then are the unconverted. They are those that we need to preach to. Matt 24:9 “Then you will be handed over to be persecuted and put to death, and you will be hated by all nations because of me. In the end times, it is the nations who persecute God’s people. Rev 2:26 says ‘to him who is victorious and does my will to the end, I will give authority over the Nations. This shows that God’s people (those who are victorious and do God’s will) are different to the Nations. God’s people will be given authority over the nations during the millennium and in eternity. In Rev 20:7-9 Satan deceives the nations at the end of the millennium. The Nations number like the sand of the sea and march across the breadth of the Earth to surround the camp of God’s people. 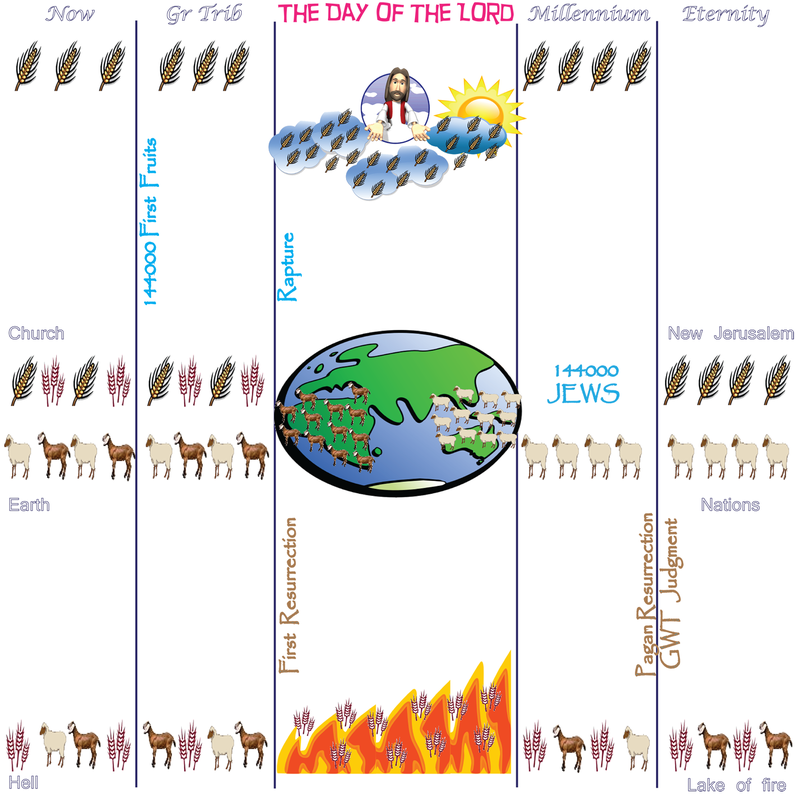 This shows that the Nations will be present during the Millennium and they are separate from God’s people. God’s people will be with God in the New Jerusalem. Who then are these nations who are outside the New Jerusalem? Rev 22:2 says that the Leaves of the tree are for the healing of the Nations. The nations in Eternity still need healing. Just who are they? Matthew 24 says that when the son of man comes, his angels with gather his elect from the four winds of heaven. And then all the peoples of the earth will mourn when they see the Son of Man coming on the clouds of heaven, with power and great glory. And he will send his angels with a loud trumpet call, and they will gather his elect from the four winds, from one end of the heavens to the other. It says that when the Son of Man comes in all his glory and all the angels with Him, he will sit on his glorious throne. All the nations will be gathered before Him and he will separate them one from another as a shepherd separates the Sheep and the Goats. 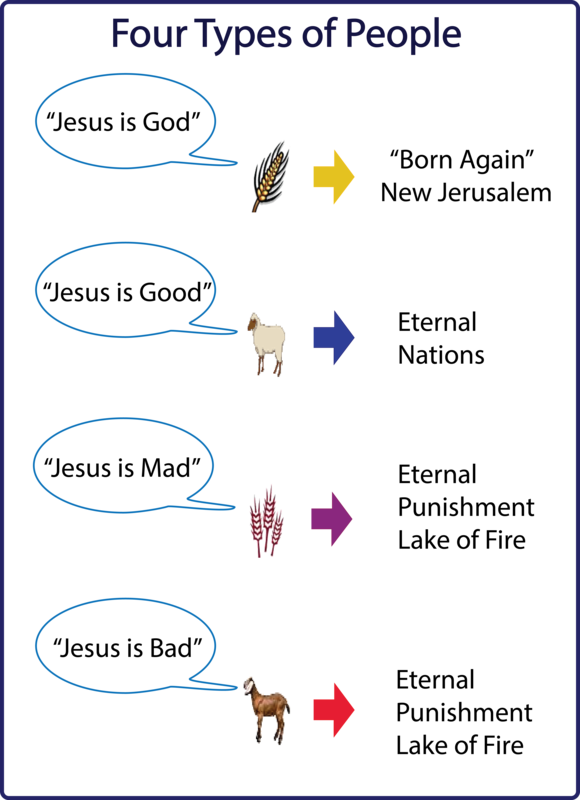 He will put the Sheep on his right and the Goats on his left. In Matt 24 the son of man comes in his glory and his Angels gather his elect. God raptures the church and then he judges the nations. God tells them, whatever you did for the least of these brothers and sisters of mine, you did for me. In other words, God will judge the Nations according to how they treated God’s people. This seems like a judgment according to works but actually it smacks of grace. 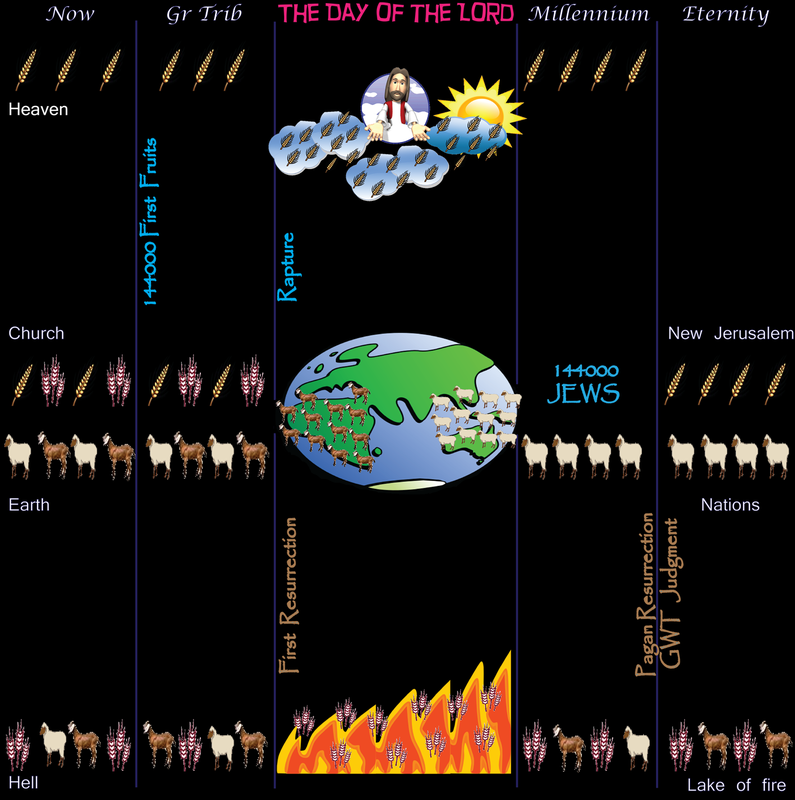 This explains where the nations in Eternity and in the Millennium come from. The New Jerusalem is composed of believers from old and new testament times. 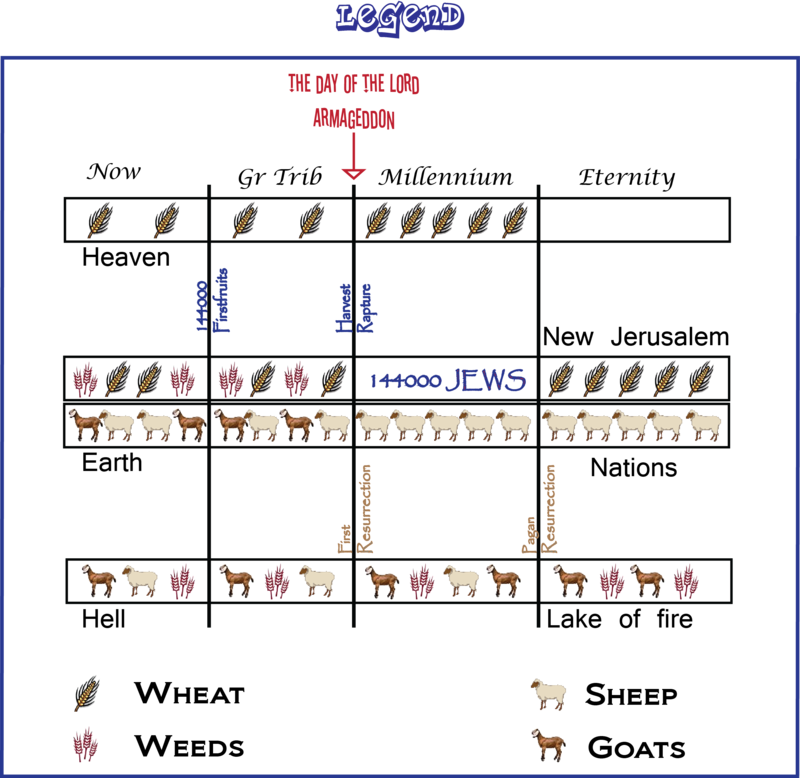 The old testament believers symbolized by the 12 gates and the new testament believers by the 12 foundations. Rev 3:12 says The one who is victorious I will make a pillar in the temple of my God. Never again will they leave it. I will write on them the name of my God and the name of the city of my God, the new Jerusalem, which is coming down out of heaven from my God; and I will also write on them my new name. The Nations are here now, they will be standing before Christ when he returns and they will be on Earth during the Millennium and in Eternity. Those who are converted become God’s people and are no longer the nations. A prewrath view with synchronous seals and trumpets and nested Bowls. A prewrath view. The Bible speaks of the Premillennial return of Jesus Christ. The Church will be redeemed from the Earth before God pours out his Wrath on the unbelieving Nations of the Earth. God’s people will be persecuted for 1260 days (42 months / 3.5 years) leaving 75 days (1335 days minus 1260 days equals 75 days) for God to pour out his Wrath on the Nations. There will be a small number of believers who are raptured before the great tribulation starts. These are the firstfruits of the harvest and are raptured pretribulation. 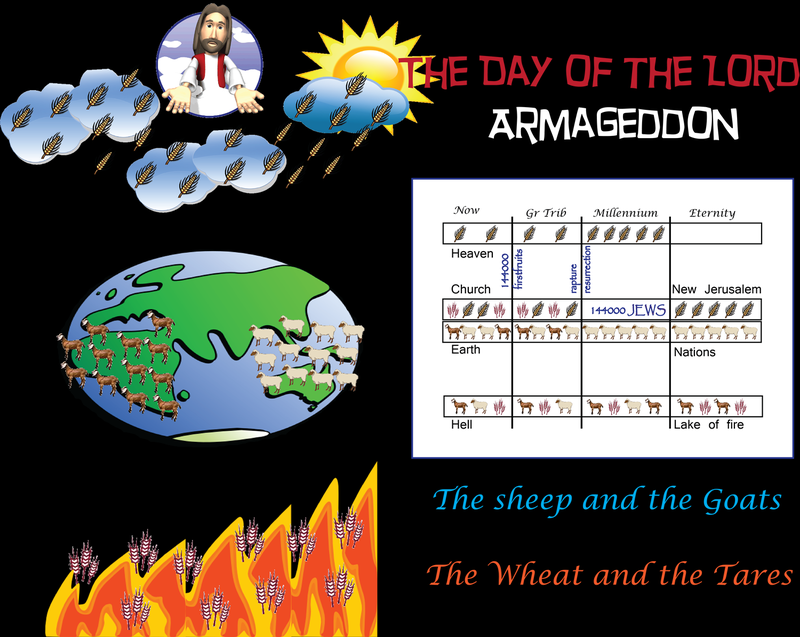 The Great Multitude are raptured before God pours out his wrath on the nations. The seventh seal, the seventh trumpet and the seventh bowl all co-incide with with end of this age and the beginning of the millennium. The bowls of God’s Wrath are poured out after the church has been raptured which is between the sixth and the seventh seal and trumpet. 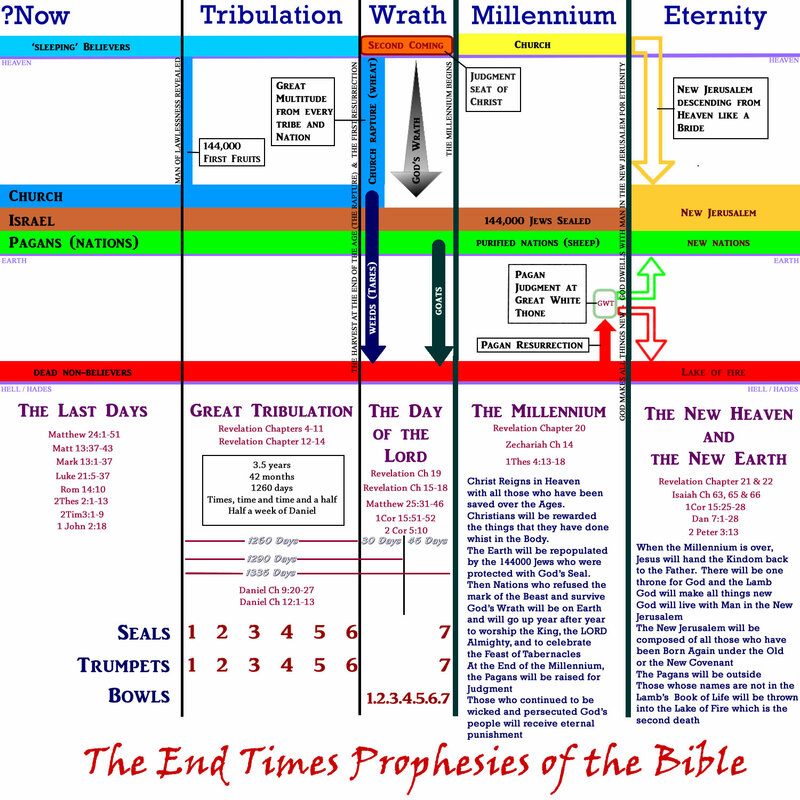 The Rapture of the Church (or the Harvest) is Pre-Wrath but not Pre-Tribulation.